Organic Caboose Fine Organic Wool PLUSH Baby Blanket - 28" x 34" - EcoBaby Gear, Inc.
Organic Caboose Fine Organic Wool PLUSH Baby Blanket - 28" x 34"
Home / Fine Organic Wool PLUSH Baby Blanket - 28" x 34"
Organic Caboose baby blankets are constructed with perhaps the softest wool on earth! You have to feel it to believe it. 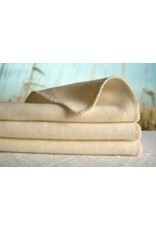 Our wool blankets are machine washable and American made. 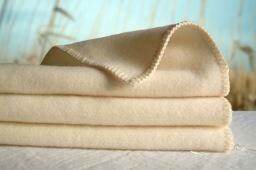 Baby blankets come standard with hemmed edges. These blankets can be customized using accent colors by using a serged edge.